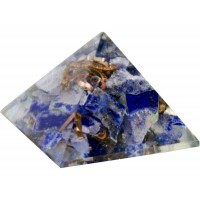 This orgone pyramid is made with metal chips, resin, quartz crystal and lapis with copper spiral and pyramid grid to increase the power. 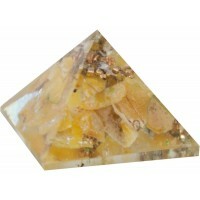 Orgone works continuously to clear its surroundings of negativity and harmful environmental elements. It also amplifies the energies of its internal stones. Hand made, please expect slight variations. 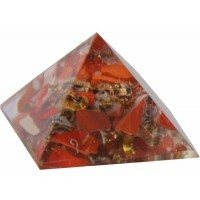 This Orgonite pyramid measures 2 inches high, 2 1/2 inches wide. 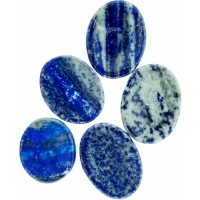 Item Number: KK-63219 | Approximate Size (Inches): 2.50 wide x 2.50 deep x 2.00 high | Approximate Shipping Weight: 0.50 lbs. 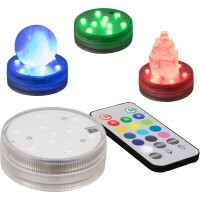 LED submersible disc light with remote control features 16 multi-colored LE..